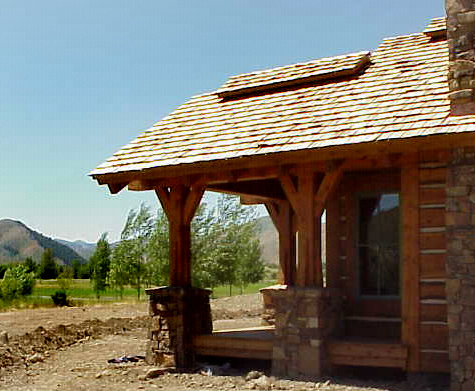 This rustic ranch home is located in The Valley Club, Blaine county, Idaho. 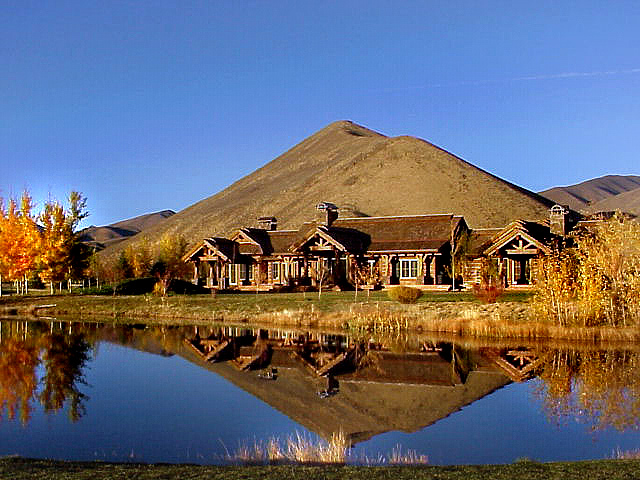 5,112 square foot residence, and 972 square foot 3 car garage. 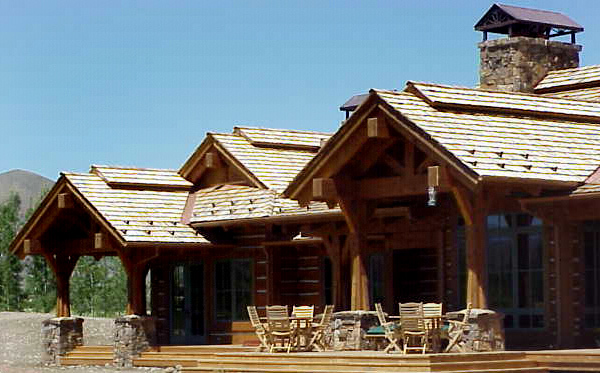 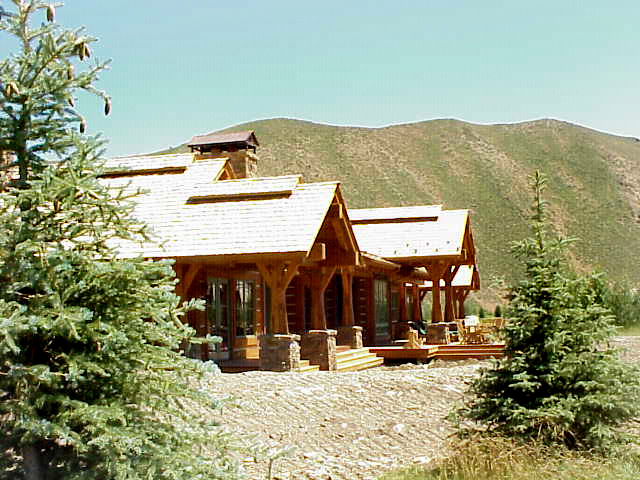 Wood frame structure with log slab siding and timber detailing with stone base and wood decks.